12 Dec : The Chief Justice of India has recommended that any Judicial Officer who is "unfit, ineffective, incompetent or has doubtful integrity" may be retired from service. 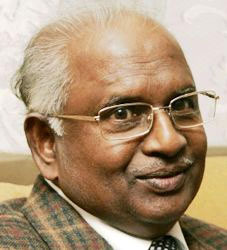 In a communique with Chief Justices of all High Courts, the CJI said, "with a view to provide that a Judicial officer who is unfit, ineffective, incompetent or has doubtful integrity may be retired from service even before his continued utility is assessed in terms of directions of the Supreme Court in All India Judges Association case". Minister of Law and Justice H R Bharadwaj in a written reply informed the Lok Sabha on Friday said that in a letter dated 14th October this year, Chief Justice K G Balakrishnan had said that if implemented in right earnest, "such a provision will keep deviant behaviour in check, besides getting rid of those who are found to be indolent, ineffective or with doubtful integrity". "A review on the lines of the provisions contained in Rule 56(j) of Fundamental rules, be carried out firstly when judicial officers attain the age of 55 years. This would be in addition to the assessment being carried out at the age of 58 years in terms of the direction of the Supreme Court in All India Judges Association case," the Minister said.